All of our Podiatrists (Chiropodists) & Physiotherapists are registered with the HCPC (Health & Care Professions Council). Sarah has worked for many years as a receptionist at Footsteps and is able to give helpful advice about the clinic and a friendly welcome to all of our clients, old and new. Esther has worked in the health profession for a number of years as a Registered Nurse, stopping work to have family. Esther loves working with and meeting the public and has been working at Footsteps since 2010. Esther is degree qualified in British Sign Language. Jonathan, founder of the Footsteps Podiatry and Chiropody Clinic, graduated from the University of Southampton with a BSc (hons) degree in Podiatry and has 9 years experience working within the NHS and private sector. Since qualifying, Jonathan has completed a variety of courses which focus on giving the optimum care for the foot. Sue graduated from the University of Central England with a BSc (hons) degree in Podiatry and has over 9 years experience working within the NHS and private sector.Sue has completed a variety of postgraduate training and is a specialist in the area of Diabetes. Bev qualified as a Foot Health Practitioner from the Smae Institute in Maidenhead. She has worked in the health and beauty industry for 19 years gaining extensive private sector experience. She is also qualified in therapeutic foot and leg massage.She joined the team in May 2009. 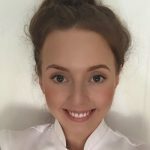 Maria graduated with a BSc (hons) degree in Podiatry from Salford University in 2011, she has experience in all aspects Podiatry and is fully trained in the use of both our in house fungal laser treatments. She has worked in the private sector for four years and joined the team in July 2013. Jodie graduated top of her class from Aston University with BSc (Hons) degree in Podiatry and has since continued her professional development in biomechanics and the treatment of muscular skeletal issues. She has experience of working within the private sector and recently joined the team Aug 2016. Chris, graduated from London Metropolitan University with a BSc (hons) degree in Sports Therapy. He has a wide range of experience and knowledge working in a North London multidisciplinary practice as well as an integral member of the medical team at Chelsea FC and is currently head of the Medical Team at Tamworth FC. Chris specialises in sports injury treatment & rehabilitation and in addition he offers massage therapy and deep tissue body massage to enhance performance, aid recovery and help prevent injury. Michael graduated with a BSc (hons) degree in Sports Therapy from the University of Birmingham. He has experience treating athletes in a number of events including the Great North Run and the TRI UK Shropshire triathlon. Michael has also trained under the Titleist performance Institute in order to improve golfing performance by removing physical restrictions as well as treating golfing injuries. 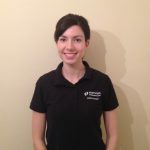 Fran is a graduate Sports Therapist BSc (Hons), from the University of Hertfordshire. Fran’s main area of interest is rehabilitation of injuries, where her in depth knowledge of biomechanics allows her to see how injury can be prevented and correct through posture and gait correction. Having had a varied sporting career, including hockey, swimming, gymnastics’ and equestrian, Fran has develop a wide base of knowledge relating to all aspects of sport and the effect that it has on the body. Fran spent a year working with Ospreys Rugby Club in Swansea, where she gained a unique in-depth knowledge of the strain the body has to take during sport. She then took these skills back to her local team of St Albans Rugby, to work as there therapist during her final year. Having been involved in many sporting events as a therapist, including working with Asthma UK at the London Marathon and The England Rugby League team during their world cup campaign. Charlotte graduated from the university of Birmingham with a BSc (hons) degree in Podiatry. Throughout her training Charlotte had a keen interest in biomechanics and nail surgery. She frequently attends local branch meetings to ensure that her knowledge and skills are maintained and enhanced. She joined the team in 2017. Emma graduated from Teesside University with a BSc (Hons) in Sportseating Emma has worked with a number of Football teams in the Midlands area. Currently, Emma helps to treat and rehabilitate the players at Coventry United Ladies FC as well as providing prevention of injury advice and exercises.